•	Disney Wedding Flower Pins Handmade by me with patience and love in a smoke free, pet free environment. 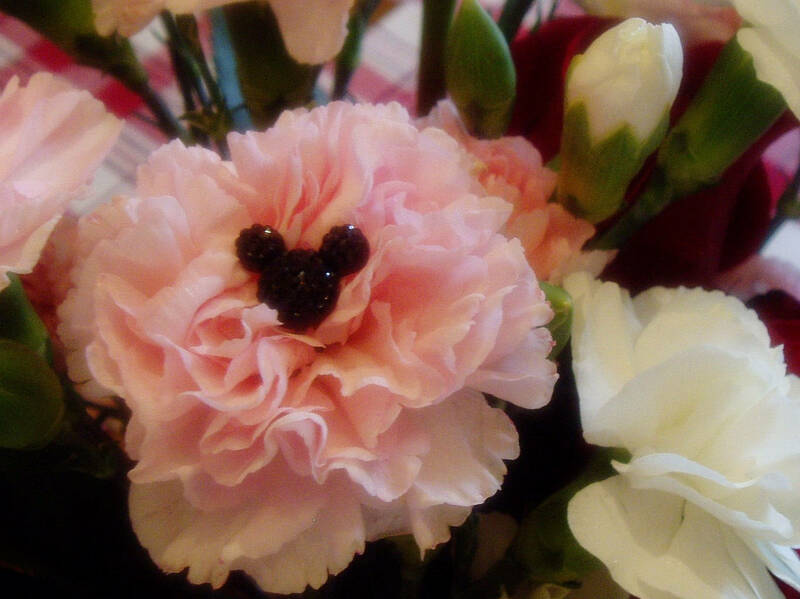 •	6 Hidden Mickeys per set of Bouquet picks-Quantity of two will get you 12. 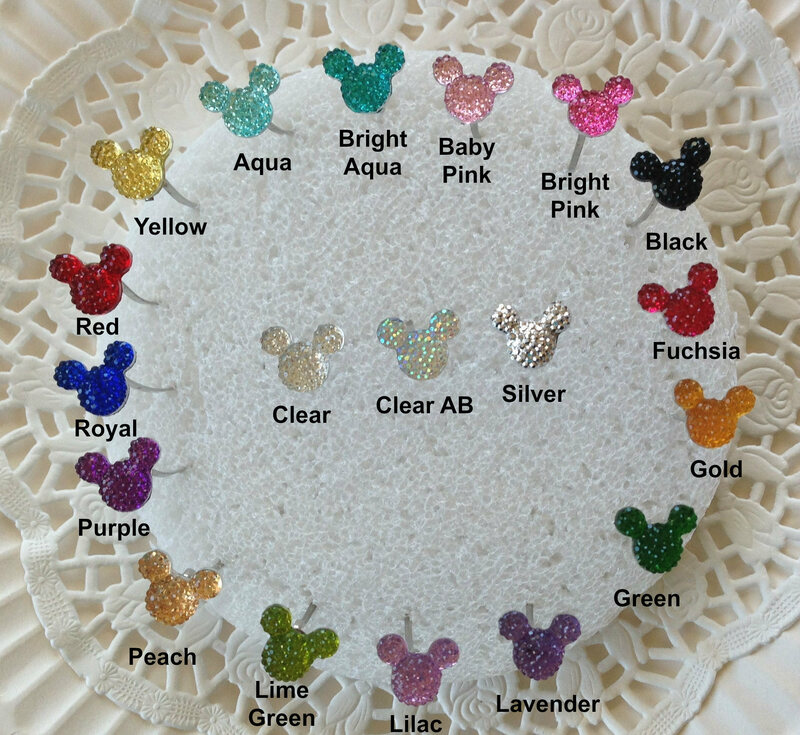 •	19 different colors including Disney Princess Colors. Ask for your favorite. •	Original Creator of the mouse collection in 2012. The rest out there are copycats. 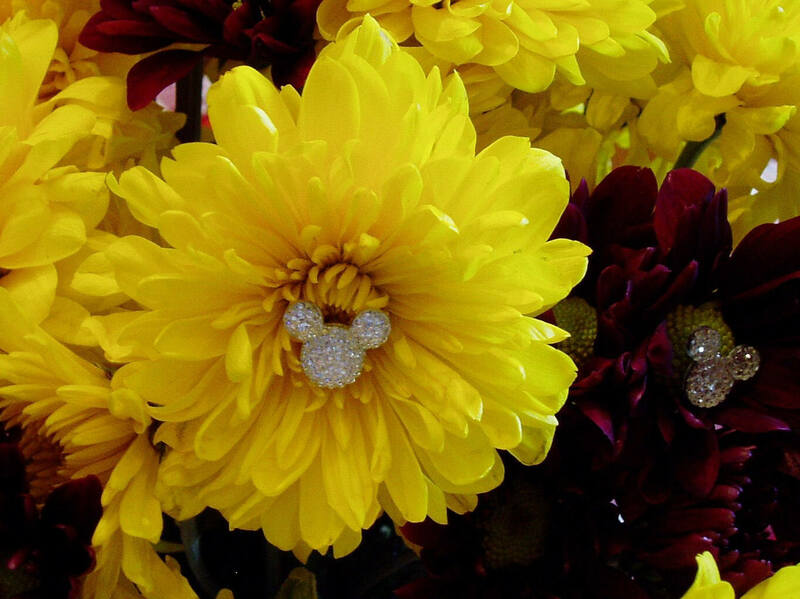 •	Mounted on tarnish resistant 1.5 inch wires with a sharp point to go into any flower. •	Free Shipping for US Buyers. 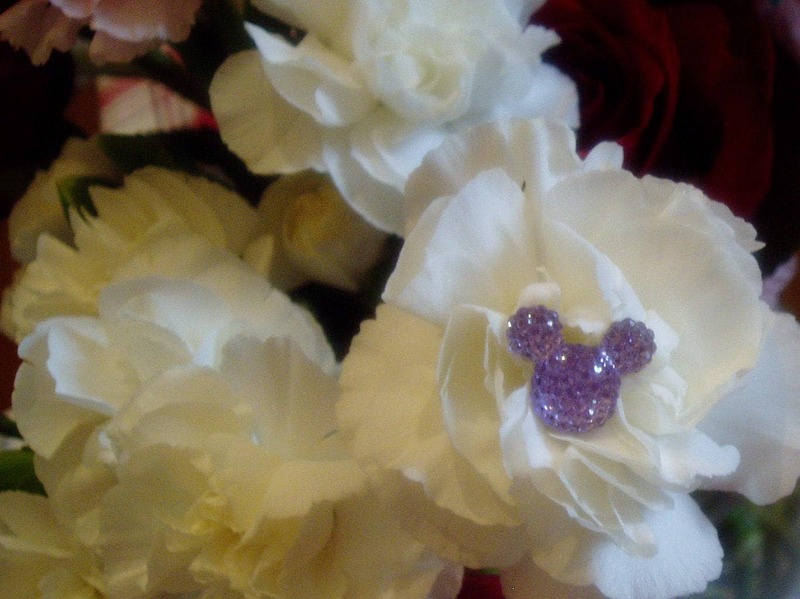 •	Sparkling mouse ears to add that magical touch to your bridal party. •	Love these! They will look wonderful in my flowers on our big day! 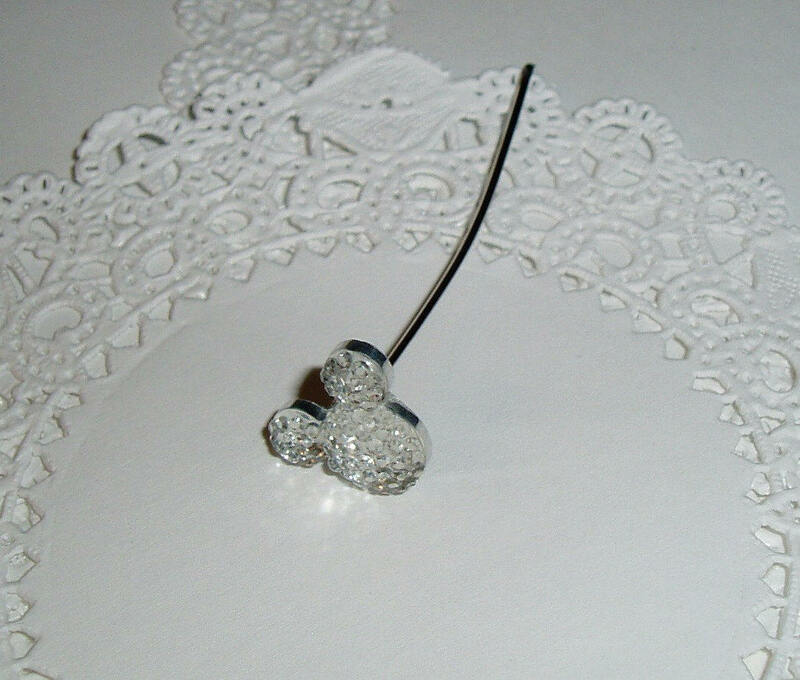 •	If you need lots of mickey bouquet pins for a bridal party I can make you a reserved listing. Love these. We got engaged at Disney World and I wanted a way to tie it into our wedding.